GN Solids Control attended CIPPE Beijing exhibition show from March. 27th~29th, 2019, and our Hot Sale Vacuum Pump received big attention among the visitors, and many people came to our exhibition booth for consulting more information about this pump. GN Sludge Vacuum Pump is widely used for Waste Mud/Solids transferring, waste pit and tank/well bottom cleaning, animal waste cleaning, and bed silt cleaning, etc. GNSP-40B, with Max Capacity 40 m3/h. GNSP-20B, with Max Capacity 20 m3/h. GNSP-10B, with Max Capacity 10 m3/h. 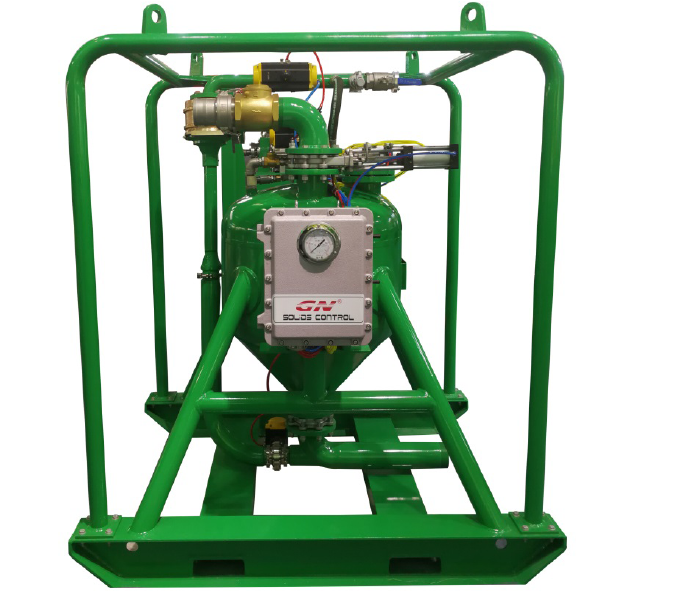 GN Vacuum Pump is a type of Pneumatic Pump, with sucking material by vacuum (negative pressure), while Vacuum Degree can be 85Kpa/25 inch HG, then discharging by positive pressure supplied by air compressor. Horizontal suction distance can be 50 m, and discharge distance can be 500 m~1000 m, with maximum solids content can be 80%, and maximum solids size 50~75 mm. The Air demand ranges from 4.3~17 m3/min & 80~114 PSI. Welcome to contact GN Company for more technical specifications & working video.